It is quite difficult to imagine a single day without a laptop. Especially when you are working in an IT sector where the entire job is done through the laptops. 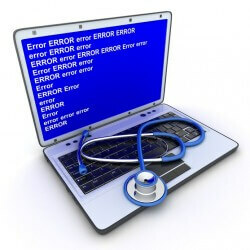 If you are working with a call center, you cannot afford to bear the laptop damages for a single day. If your laptop is creating problems at the time of booting, contact us. We are your one-stop and reliable laptop repair center. You can contact us for any kind of laptop repair service. The first and the most important thing that you do to work on your system is to connect it to the power. The system will start booting. If you find that there is some problem in the booting, immediately call us. Our team works 24x7, so they do not waste your time and give quick laptop booting problem repair services. We provide genuine laptop repair services at very competitive rates. We are ready to give the guarantee of our work. We have hired the experienced team of professionals who are very good at laptop repairing services. We provide complete laptop repair service. In case, you are unable to start your system due to booting errors, and you can contact us and get your problem fixed within a very short span.